Earth’s atmospheric glow, the stars of the Milky Way and an external pallet at the tip of Japan’s Kibo lab module are seen in this night time photograph from Oct. 10, 2016. New CubeSats were deployed into outer space from the International Space Station today to study Earth and space phenomena. Meanwhile, back inside the station the Expedition 51 crew continued exploring how the human body adapts to living in space. Ground controllers commanded a small satellite deployer to eject six Cubesats from outside the Japanese Kibo lab module. The tiny shoebox-sized satellites will orbit Earth observing the Earth’s upper atmosphere and interstellar radiation left over from the Big Bang. Just after the Cubesats began their mission, three Expedition 51 crew members continued exploring how to reverse the upward flow of fluids in astronaut’s body. Flight Engineers Thomas Pesquet and Oleg Novitskiy tested a special suit that may offset the effects of microgravity possibly alleviating eye and head pressure. The duo also conducted eye checks with assistance from veteran cosmonaut Fyodor Yurchikhin and support from doctors on the ground. Commander Peggy Whitson was back in the U.S. Destiny lab studying how bones adjust to weightlessness. She was inserting bone cell samples into a science freezer for analysis on Earth. 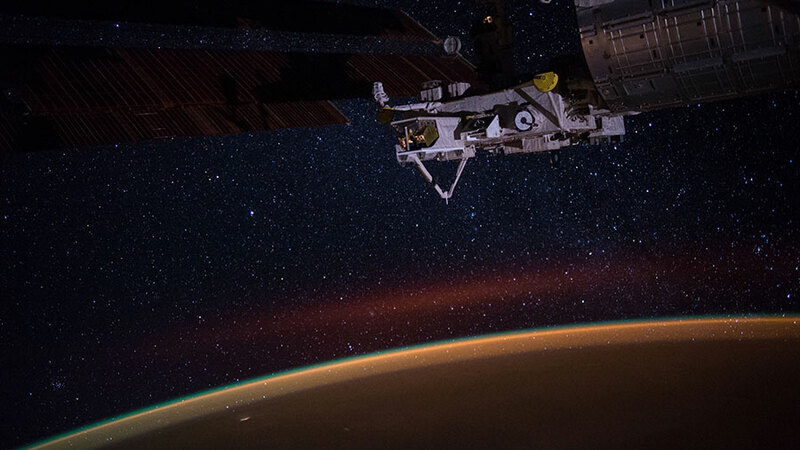 Scientists are studying the mechanisms that drive bone loss in space with potential benefits for the treatment of bone diseases on Earth. I heard on the radio the other day, that Steven Hawkins said that we need to Colonize another planet within the Next 100 Years. The Theory is that Plagues, Overpopulation, and Climate change are among the Reasons why ! I wonder how Seriously Science, and Nasa take his Prediction ! I’m Sure that is the Ultimate goal, but will this Latest Prediction Hasten NASA’s Efforts to bring this to Fruition ?